We spend a lot of time thinking about how we can do things better. From the outset, we’ve strived to make just about every component that goes into our gelato, sourcing the best ingredients we can find. 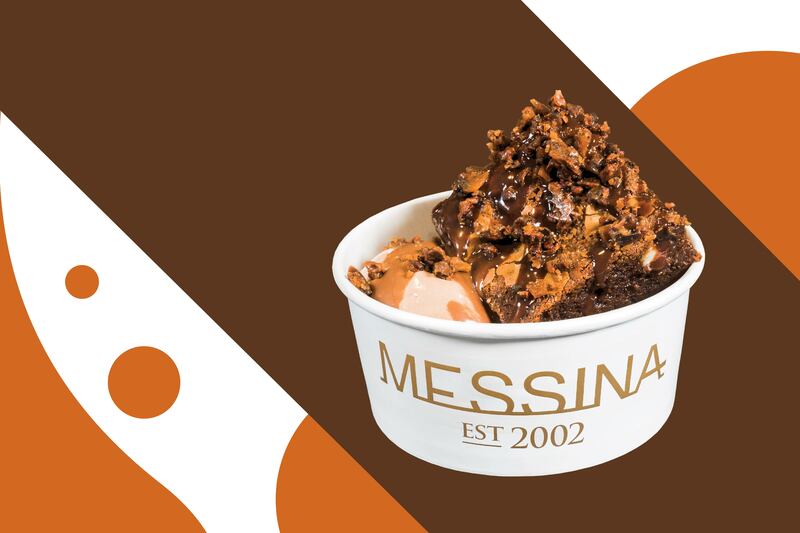 We’ve always made our gelato from scratch using our own unique recipes, whilst baking, making and creating all of our own ‘additions’ or inclusions like cookies, brownies, coulis, jams and meringues. A few years ago, we got to thinking – what if we could take it one step further and actually control the quality of some of the raw ingredients that we use? What if we actually became primary producers of some of these key ingredients? It started as a bit of a pipe dream but we are very proud to say it has now become a (partial) reality. A Hazelnut Farm in Seymour (VICTORIA), a Strawberry farm in Dural (NSW), and one of our most exciting ventures to date is the acquisition of our own Dairy Farm in Numurkah (VICTORIA). Not only do we now produce our own milk. We produce one of the highest quality Jersey milks we’ve ever come across. Super high in cream content and full of flavour, our milk is the foundation and critical building block to producing the best gelato in the world. Our cows are completely pasture fed on grass, lucerne, and clover. They are never grain fed, and although we are not ‘certified organic’ we follow organic best practice so our cows are as happy as can be. They are only milked only once a day which means they are less stressed and as it turns out, results in an even higher quality milk (with more cream), which is exactly what we are after. The volumes are significantly less than you would get milking 2-3 times a day (about 40% less), which is fine as we are not at the mercy of the big milk processors like the poor dairy farmers we are hearing about in the news. What kind of cows are they? We chose to have Jersey Cows because they produce the highest quality milk on the planet. It has the highest cream and protein content, protein and is full of flavour. How many cows do you have?We currently own around 300+ jersey cows – their numbers are increasing all the time, based on how many calves are born throughout the year. What kind of life do your cows live? We do our best to ensure our cows live as happy a life as possible. They are milked once a day (rather than 2-3 times) and are 100% pasture fed which means they feed on a mixture of natural lucerne, clover and grass. We never feed them grain simply to fatten them up quickly. In fact, we don’t feed them grain at all. What difference does this make? Unlike most dairy farmers, we are not driven by milk volume but rather by quality. By treating our cows well, they are less stressed and produce a super high quality milk that contains close to 6% cream (milk fat) and is high in protein. This results in a very creamy, high quality gelato. What happens to the milk once collected? We pasteurise the raw milk immediately at the farm and transport it to our kitchens for use straight away. It doesn’t get any fresher than that. Unlike milk you buy at the supermarket, it is completely unseparated and unadulterated full cream milk. How much milk do you use every week at Messina? We use around 11,000 ltrs of milk a week for our gelato production. Do you make your own yoghurt? Yes indeed. We naturally inoculate our own yoghurt using Messina Milk for our yoghurt based flavours. We also have our own hazelnut farm in Seymour, Victoria and our grow own strawberries in Dural, NSW. Parramatta Lanes has returned for 2018 with 14 different locations to add to your To Do list.